Mountain Springs Resort has a long history as one of Blue Mountain’s first condo resort. Guests at the resort can enjoy true ski-in and ski-out condos, heated outdoor pool and hot tub, tennis courts and conference facilities. 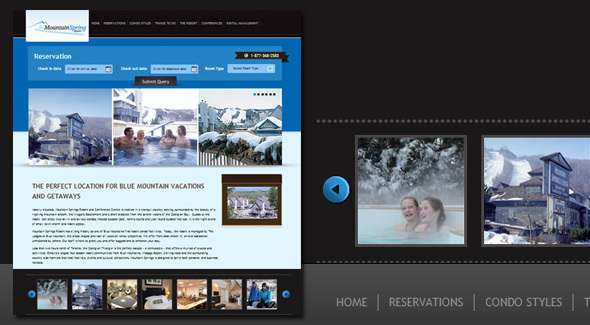 Availability search and reservations can be made online through eCrew’s web-based vacation rental management software. Staff can maintain the site with a content management system.